Born in Melbourne, Helen’s love of the creative has been a driving force for most of her life. Being self taught Helen finds the wonder of colour, both intense and delicate, stimulates her senses and charges her creative urges. 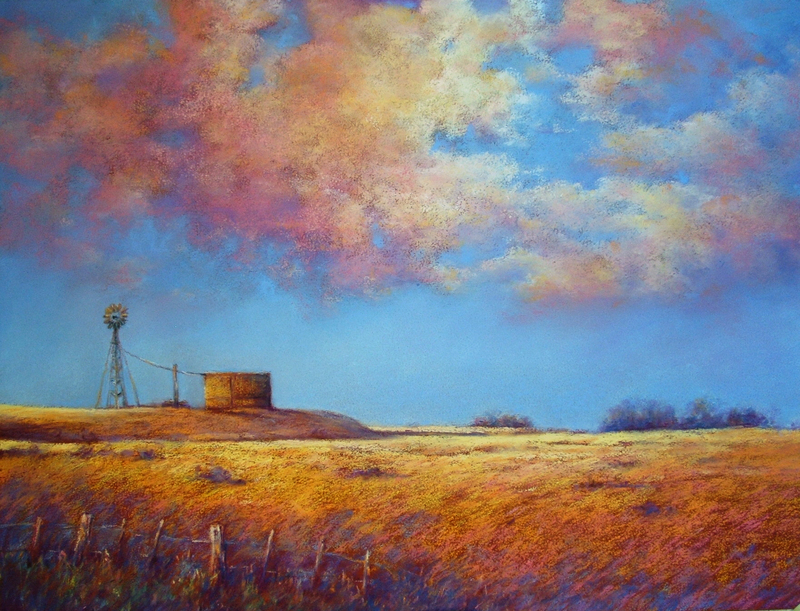 Over the last thirty years she has thrived on discovering her unique approach to a wide variety of subjects including landscapes, seascapes, florals, bird and animal studies and the whimsical and alternative. Pastel, acrylic, watercolour and mixed media have emerged as her most used mediums but she occasionally experiments with everything and anything and is fascinated at the surprising and sometimes pleasing results. While Helen enjoys traditional and representational painting she occasionally tests her capabilities and pushes her boundaries into the more contemporary and abstract fields. 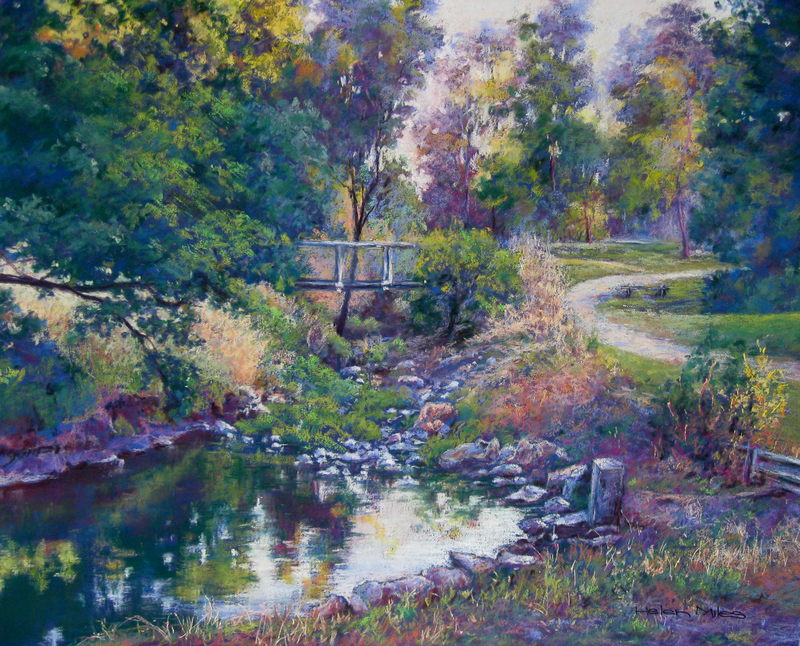 When she is not travelling throughout Australia admiring and painting our wonderful country, the magnificent Great Dividing Range near where she lives supplies Helen with a myriad of painting possibilities. Time means nothing while she is working in her studio. She has, at times, been known to forget to feed her husband (and herself), and often arrives back in the house looking like a multi-coloured ghost after pastel painting. Helen enjoys the silence and solitude of her own studio space where she can experiment and paint without interruption. During operating her successful gallery in Melbourne in the early 1990’s Helen’s watercolour and pastel series of Australian butterflies and flora proved very popular with both locals and overseas visitors. The gallery showcased some of Australia’s most well known and emerging artists in regular exhibitions. Helen has taught painting professionally and privately over many years and her commitment and passion for art is revealed in her involvement in a variety of art societies and committees. She is a member of the Australian Guild of Realist Artists, Victorian Artists Society, past Secretary and President of the Kilmore Art Society Inc, Vice President of the Seymour and District Art Society Inc, a member of the Woodend Art Group and is a committee member of the Mitchell Shire Arts & Cultural Advisory Committee. She is also the joint Artistic Director of the Kilmore Art Expo which held its inaugural show in 2008. 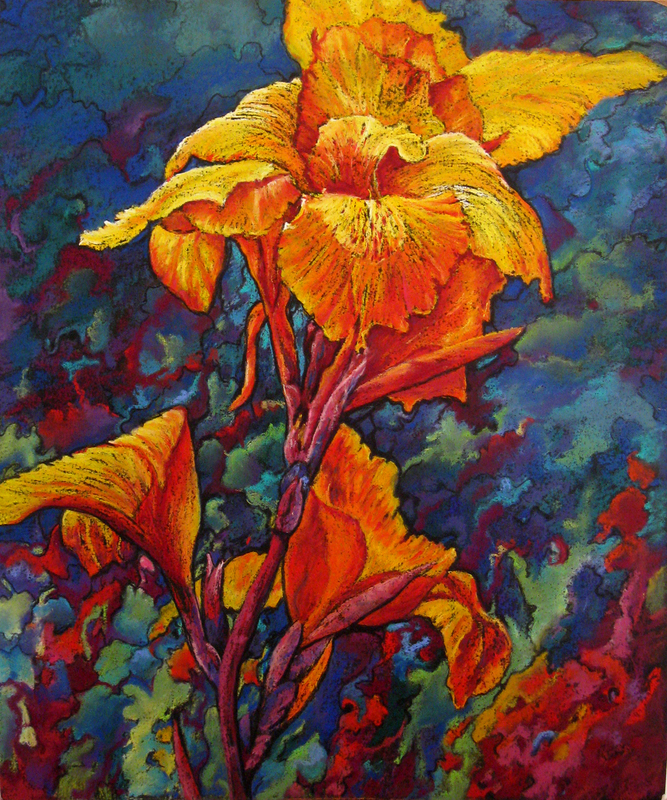 Sale of her work, publications in Australian Artist Magazine & Artist’s Palette Magazine, and awards received, encourages Helen to strive to improve. She has entered and sold her works at numerous art shows over many years and to date has won over 120 awards, prizes and commendations. Her work hangs in private collections throughout Australia, Japan, USA, New Zealand, Denmark and Scotland. Helen regularly exhibits at the; Old Courthouse Gallery, Seymour; Australian Guild of Realist Artists Gallery, Camberwell; MAD Gallery, Lancefield: Cope-Williams Winery Gallery, Romsey; Veneto Blue Café & Restaurant, Seymour; Blue Dragonfly Café, Kilmore and a number of regional & metropolitan art shows.